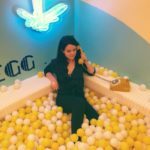 New York doesn’t quite have the typical ghost towns that you’ll find out in the Old West, where there are well-kept abandoned structures and movie-like rolling balls of tumbleweed. 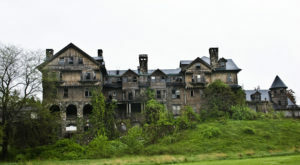 With that said, you can still find some truly incredible pieces of history that have been left behind in some of the Empire State’s forgotten towns. 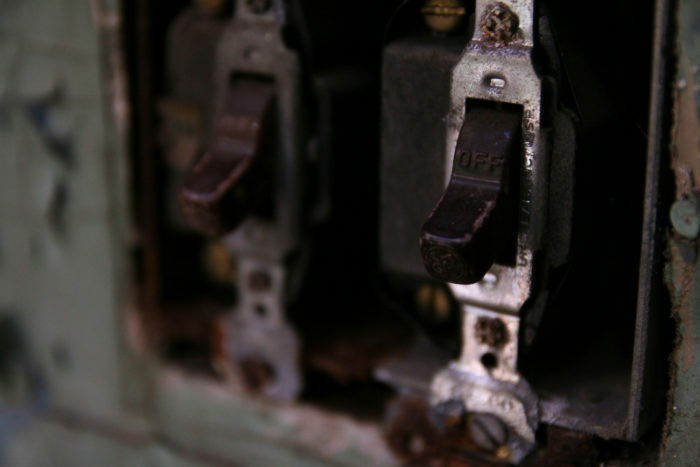 Taking you all the way up to Essex County, it’s time to explore the lost town of Tahawus. 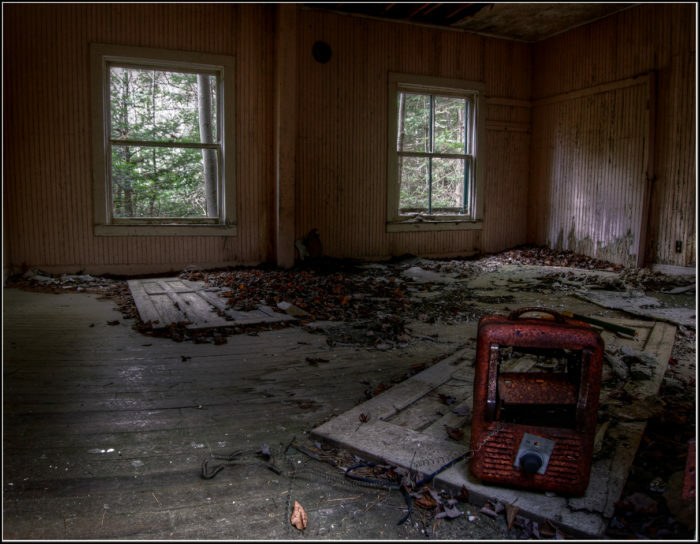 Abandoned not once but twice, the lost town of Tahawus is now located within the village of Newcomb. The history of the town of Tahawus is one that can be a bit confusing to those who aren't familiar with this place. 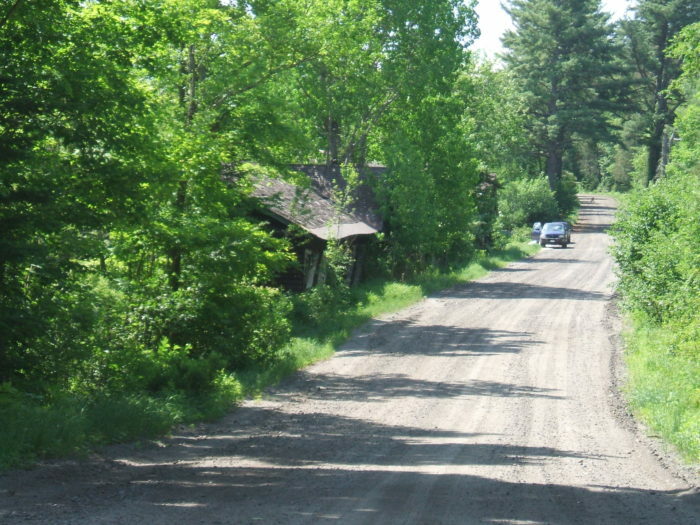 While always remaining in Essex County, the town was actually moved to the village of Newcomb in the early 1960s after being abandoned for the second time. 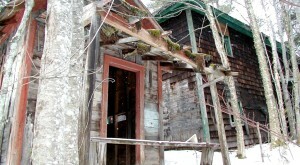 First abandoned in 1857 and then again in 1963, the area is now part of the Tahawus Tract. Back in 2003, the Open Space Institute purchased 10,000 acres now known as the Tahawus Tract for a whopping $8.5 million dollars. 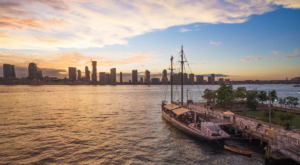 Now controlled by the institute and DEC, together they help educate visitors of the area and locals on the land's extensive and forgotten about history. 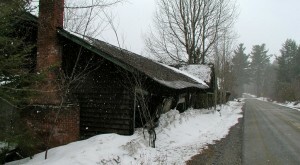 Those who now drive along Upper Works Road in Newcomb will discover abandoned pieces of the past along the road. 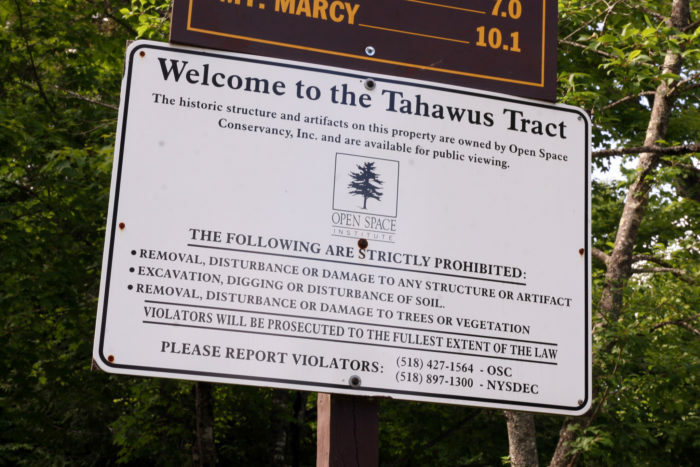 Up where you're surrounded by all of our High Peaks and you're steps away from our tallest mountain - Mount Marcy, pieces of Tahawus are still visible today. Sadly the majority of the structures that have managed to survive the tests of time are from a different era of Tahauws, when a local fish and game club operated in the era during the 1940s. Tahawus was once made up of nearly 20 residential homes, a school, bank and many mining structures. Unfortunately over time and within the last 10 years, most of the remaining pieces of the actual town of Tahawus have been demolished. One of the most well-known structures from Tahauws that is still standing today is the MacIntyre Blast Furnace. 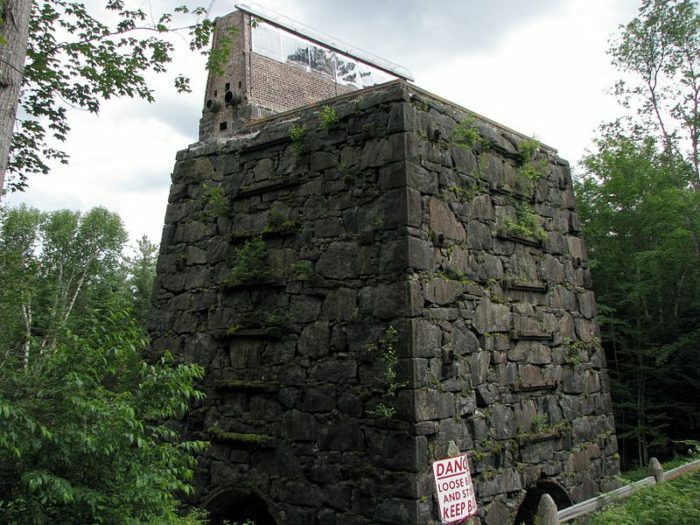 Standing at roughly 50-feet tall, the blast furnace is one of the only surviving structures of Tahawus' mining past. 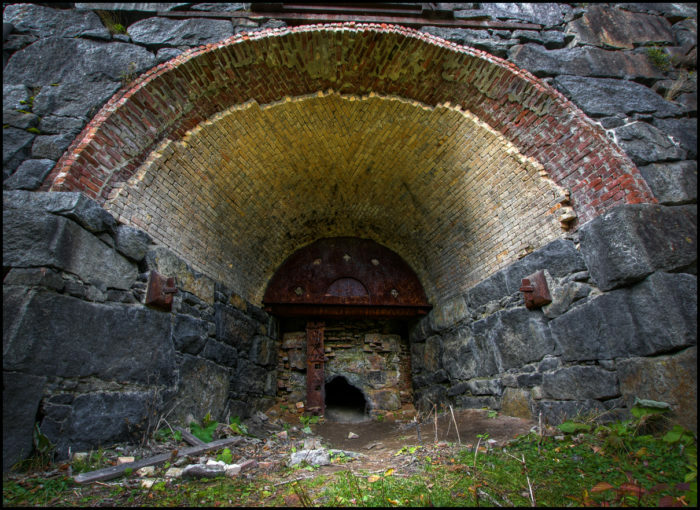 Visible from the road, urban explorers and adventurers of the area often dare to step inside of the furnace for an interesting view. An amazing visual of Tahawus' mining history, there are other pieces of the town's history still lingering in the area today... like an actual ghost! Whether or not the stories are true, local legend and explorers of the area say an actual ghost inhabits Tahawus! According to the stories, one of the managers of the mining company in town - David Henderson can still be found making his way through Tahawus today. A sad accident that shook the area, reportedly while out looking for new mining spots and water sources, Henderson set his gun down only to have it accidentally go off and cause him grave injuries which he would die from shortly afterward. Those who tell David Henderson's story today say that he can still be found on horseback riding through Tahawus today. Those who were lucky enough to call Tahawus home still speak highly of the town that once was, reminiscing on its history and all that has now been demolished or taken over by Mother Nature. 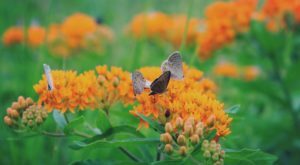 While the town's history may have started back in the mid-1800s, it was only in the early 1960s when this town was officially abandoned for the last time. 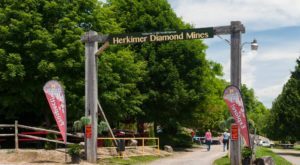 Today many of the town's residents are still living in the area and in New York and are able to paint a charming picture of this lost gem of the Adirondacks. Were you in the area during 1963 when Tahawus was moved to its final resting place in Newcomb? If you don’t remember this time in history, check out the amazing footage shared by Robin DeLoria via Youtube below! 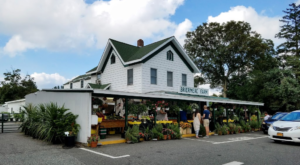 Have you ever been to Tahawus or had family that once lived in this town? 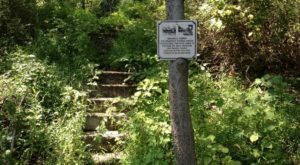 To explore another lost town of our state, check out how This Hike Takes You To A Place New York’s Residents Left Behind!